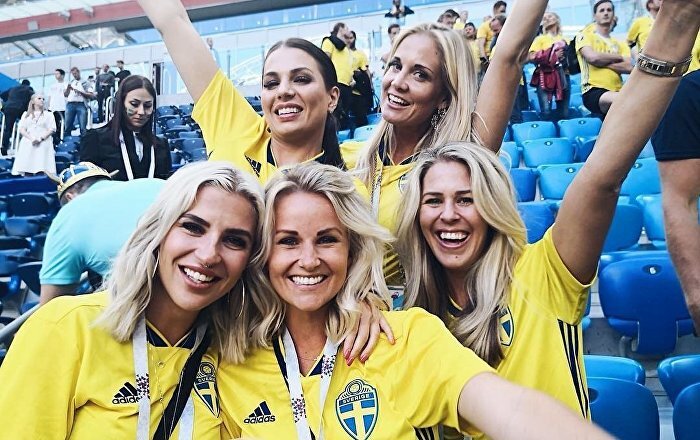 As Swedish footballers are readying for the historic World Cup quarter-finals with England on July 7, the players’ wives and girlfriends are posting cheery snaps to support their loved ones. Camilla Sjodahl-Essen, who’s been dating midfielder Albin Ekdal for over 10 years and is now expecting their first child, is one of the WAGs to have traveled to Russia for the championship. Camilla’s been supportive of Ekdal, posting pictures of her wearing Team Sweden’s jersey before switching the game. 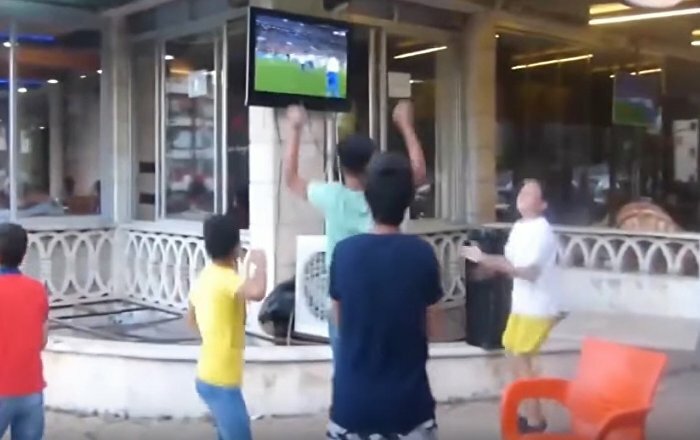 After Sweden’s second match against Germany, she wrote she had “goosebumps and teary eyes” while watching her man play. The girlfriend of goalkeeper Robin Olsen, Mia Lindgren, prefers to keep a low profile, but has been quite active on her Instagram. Mia wrote that while she couldn’t be there next to him, she was very “proud” of her man, and uploaded a series of snaps with her kids ahead of the games, sending love and support from Sweden. The wife of Sweden’s captain Andreas Granqvist, Sofie, is now waiting at home for her husband, who she calls her “king”, as she has just given birth to their second child. 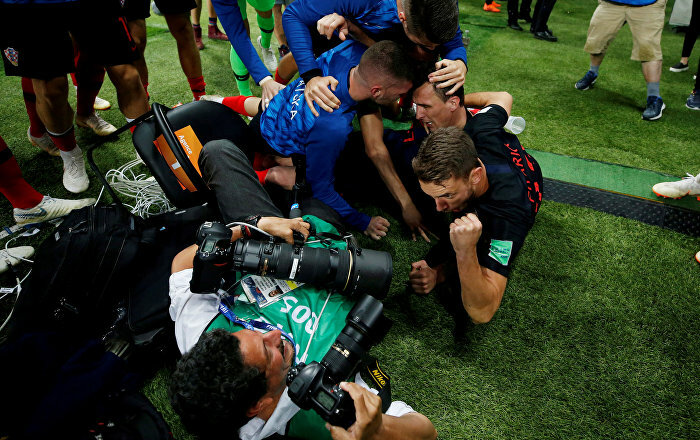 Swedish social media “influencer” Josefin Lustig traveled to Russia to support her husband center back Mikael Lustig, and has even been filming a vlog about the World Cup. 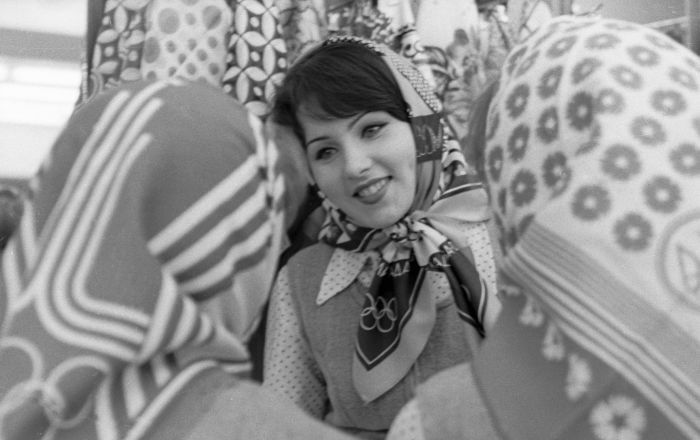 Judging by her Instagram, she’s been pretty excited to visit the tournament’s host country and has enthusiastically been cheering on her man, wearing T-shirt in team colors. The two married last year and have two daughters together. The 24-year-old Maja Nilsson, who works in marketing, married defender Victor Lindelöf last month after the couple got engaged in the Maldives. She shared the pictures of the ceremony on Instagram, where she’s followed by over 116,000 people. The beautiful blonde has accompanied her man to Russia and has been watching the games from the stadiums – it seems that she’s enjoying her time at the World Cup. Min kille har nummer 3 i landslaget — om någon har missat det. Nilsson didn’t travel alone: she’s been with a fellow WAG, Sanna Dahlstrom, striker John Guidetti’s fiancée. 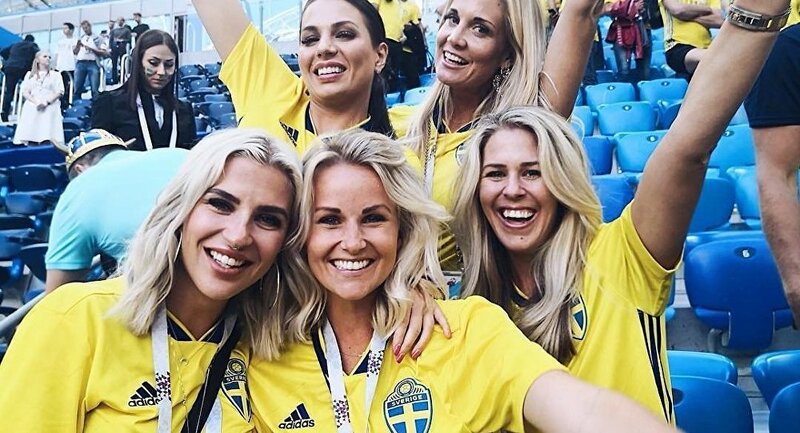 Swedish forward Marcus Berg’s wife Josefine Ringblom, who can boast of 22.5k followers on Instagram, is also among the WAGs, who have arrived in Russia to support their soulmates. Sweden is set to take on England on July 7 in the city of Samara.